So first things first, I want to point out the obvious - I have not included the Paris purchases in the infographic. I went back and forth about it, but ultimately while I acknowledge that with their inclusion I went way over my intended purchases for the season, I don't regret it and I think one must make room for exceptional circumstances. Instead I've put them in their own category so we can more accurately discuss my "real time" Winter purchases. Of my real time purchases, I actually think I did pretty well. 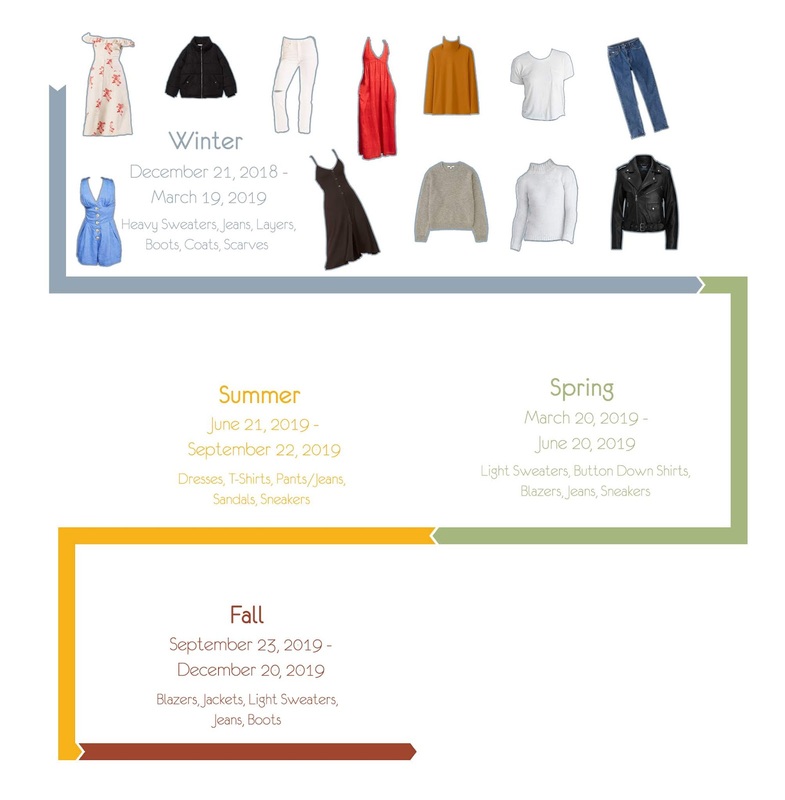 A significant number of the pieces I picked up were for Summer, and the winter additions I made turned out to be not only useful for my international trip, but for Winter as a whole. I wouldn't have initially told you that turtlenecks would make such a significant difference, because sometimes I am stupid. Adding a couple more turtlenecks allows me to be warmer AND create a different look with less pieces, which helped me see my wardrobe as a whole in a different light. On the other hand, I'm not sure any of these wardrobe challenges are bringing me joy. I like shopping, and at this point at my life I have such a discerning eye (*cough* picky *cough*) towards what I like, that I try a lot, return even more and purge even more after that. So does that mean I should feel bad about the stuff I've bought that's over a magical number? I really don't know. I definitely couldn't get on board with Mademoiselle's 5PFW challenge (props to her, I'm not committed enough) but I also am not sure opening the flood gates is the best answer either. I'm going to continue keeping track, that roundup from last year's data was very interesting to me, but on the rest I don't know.